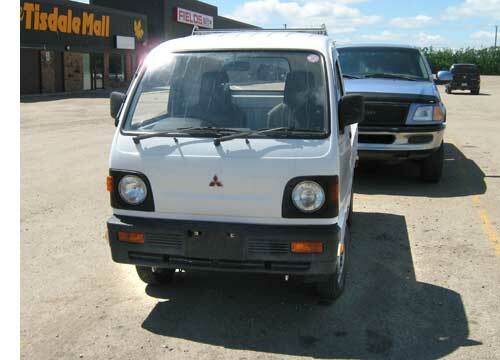 Spotted this Mitsubishi "Mini Truck" at the mall on Wednesday. They use 4.7L/100km (approx. 60 miles per gallon). Prices start at $5000.00. Model years are late 80's into the90's. 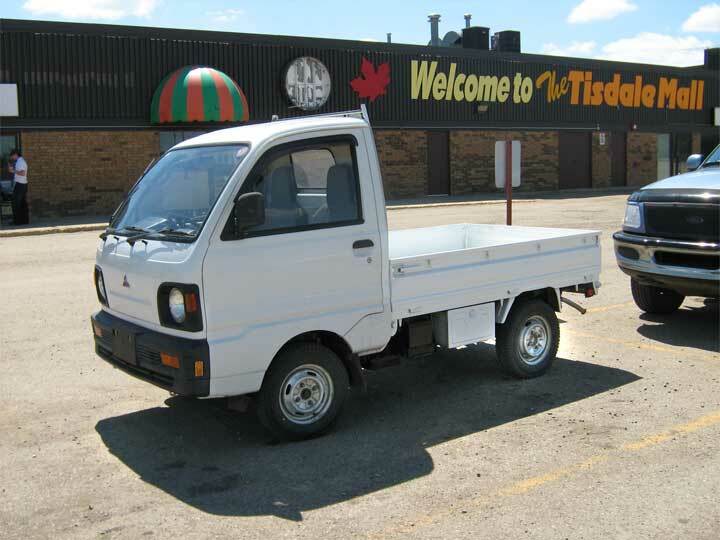 They can be licensed for highway driving and also can be used as ATV's along with many other uses.